For years, the previous website for the Foundation for Biomedical Research attracted critics, and very few fans. I listened intently to the critics, assessed the previous site's strengths, and built a website that appeals to all stakeholders and aligns with the nonprofit's mission. 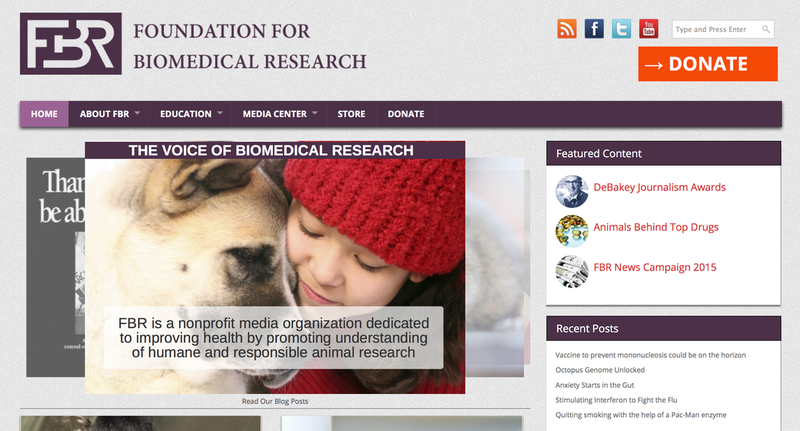 The new FBResearch.org is a WordPress-powered online magazine built to educate the public about biomedical research. FBResearch.org receives about 30,000 page views per month.